Opened in 2014 and offering 20 luxurious rooms with free WiFi, Franz Josef Oasis is just 10 minutes’ drive from the Franz Josef Glacier. Guests enjoy a spacious, covered outdoor terrace, perfect for taking in the lovely views of Westland National Park, the garden and mountains. Rooms feature soundproofing, double-glazed windows, deluxe linen, super king beds and a fireplace or heat-pump. All boast a large flat-screen TV. Each room includes a bathroom with heated towel rails and guest toiletries. They display artworks by renowned New Zealand photographer, Andris Apse. 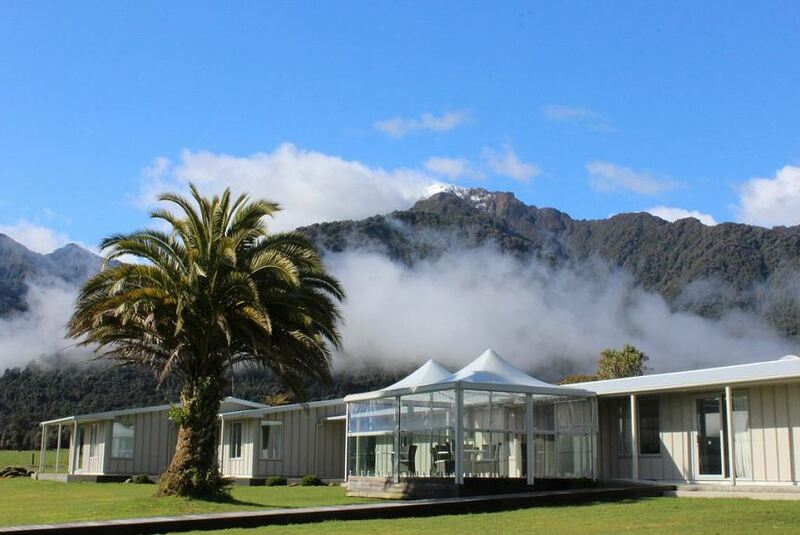 Franz Josef Oasis Hotel is 5 minutes’ drive from the Franz Josef Heliport and The Glacier Hot Pools. It is 2 minutes’ drive from Westland National Park. Lake Mapourika is 2 minutes’ drive away.